For decades, the skilled technicians at Tustin have delivered dependable, top-quality service to homes and businesses throughout Los Angeles. Fully trained and certified, available on-call 24/7, our experts can provide plumbing repairs, heating and air conditioning service and kitchen and bathroom repairs or remodeling. No matter the age, condition, or model of the plumbing system, heating or air conditioning you have, our technicians have the training, tools, experience and can-do attitude to make sure your plumbing or HVAC is running at peak efficiency. Our technicians are fully bonded and insured, and will work to make sure you are satisfied. 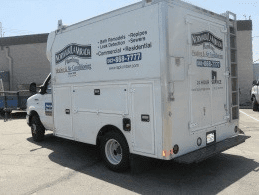 From emergency service to minor repairs, Norwalk/La Mirada Plumbing Heating and Air Conditioning will get your job done quickly, efficiently and affordably.